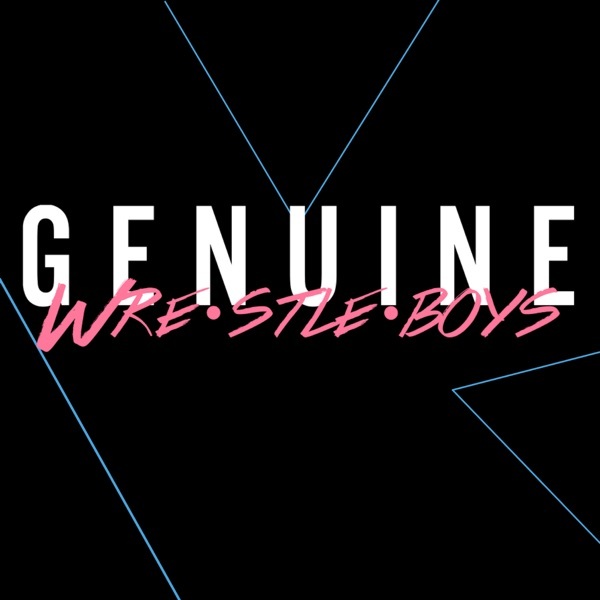 Genuine Wrestleboys | Listen Free on Castbox. We did it, y'all! We all survived the content consumption gauntlet that is WrestleMania Week and the Wrestleboys are here with fittingly their longest episode ever to recap and break it all down for you, including: WrestleMania 35, NXT TakeOver: New York, New Japan Pro Wrestling & Ring of Honor's G1 Supercard, and some of the fallout from everything on this week's Monday Night Raw, SmackDown Live, 205 Live, NXT, and NXT UK! SUPPORT GENUINE WRESTLEBOYS:Listen and subscribe on Apple Podcasts, Spotify, Stitcher, or wherever you get your podcasts and make sure to leave us a rating & review!Buy our merch on our What a Maneuver store!Get a FREE 30-day trial of Audible while supporting Genuine Wrestleboys!FOLLOW GENUINE WRESTLEBOYS:Visit Our WebsiteFollow Genuine Wrestleboys on Twitter: @WrestleboysCastFollow Genuine Wrestleboys on Instagram: @GenuineWrestleboysFollow Derek on Twitter: @ostercoaster!Follow Derek on Instagram: @bleuostercvlt!Follow Esai on Twitter: @duckshirt!Follow Esai on Instagram: @duckshirt!Follow Matt on InstagramFollow Matt's wrestling drums account on Instagram: @wrestledrums!Follow Zack on Twitter: @KayfabeDad!Follow Zack on Instagram: @mychemicaldadpants!This podcast is powered by Pinecast. We're not in New York and this isn't live, but recorded from Boise, it's Genuine Wrestleboys! WrestleMania, however, will be live (on the WWE Network) from New York (actually New Jersey) this Sunday, so we're here to preview that full day marathon of Sports Entertainment Content for y'all, as well as Friday's NXT TakeOver: New York show! SUPPORT GENUINE WRESTLEBOYSListen and subscribe on Apple Podcasts, Spotify, Stitcher, or wherever you get your podcasts and make sure to leave us a rating & review!Buy our merch on our What a Maneuver store!Get a FREE 30-day trial of Audible while supporting Genuine Wrestleboys!FOLLOW GENUINE WRESTLEBOYSVisit Our WebsiteFollow Genuine Wrestleboys on Twitter: @WrestleboysCastFollow Genuine Wrestleboys on Instagram: @GenuineWrestleboysFollow Derek on Twitter: @ostercoaster!Follow Derek on Instagram: @bleuostercvlt!Follow Esai on Twitter: @duckshirt!Follow Esai on Instagram: @duckshirt!Follow Matt on Twitter: @wrestledrums!Follow Matt on Instagram: @mattondrums!Follow Matt's wrestling drums account on Instagram: @wrestledrums!Follow Zack on Twitter: @KayfabeDad!Follow Zack on Instagram: @mychemicaldadpants!This podcast is powered by Pinecast. Genuine Wrestleboys are comin' at ya LIVE! This is our first ever live show from Storyfort during Treefort Music Fest 2019! On this special episode, the Wrestleboys discuss professional wrestling as a storytelling medium, specifically through the lens of the story surrounding "Stone Cold" Steve Austin vs. Bret "The Hitman" Hart at WrestleMania 13! Thank you so much to everyone who showed up to see our first live show ever! We absolutely did not expect the turn out or reception we received and we cannot begin to tell you how much the positive response has meant to us! Y'all are the best and we love you so so much! To follow along with our slideshow, go to bit.ly/fortboys19SUPPORT GENUINE WRESTLEBOYSListen and subscribe on Apple Podcasts, Spotify, Stitcher, or wherever you get your podcasts and make sure to leave us a rating & review!Buy our merch on our What a Maneuver store!Get a FREE 30-day trial of Audible while supporting Genuine Wrestleboys!FOLLOW GENUINE WRESTLEBOYSVisit Our WebsiteFollow Genuine Wrestleboys on Twitter: @WrestleboysCastFollow Genuine Wrestleboys on Instagram: @GenuineWrestleboysFollow Derek on Twitter: @ostercoaster!Follow Derek on Instagram: @bleuostercvlt!Follow Esai on Twitter: @duckshirt!Follow Esai on Instagram: @duckshirt!Follow Matt on Twitter: @wrestledrums!Follow Matt on Instagram: @mattondrums!Follow Matt's wrestling drums account on Instagram: @wrestledrums!Follow Zack on Twitter: @KayfabeDad!Follow Zack on Instagram: @mychemicaldadpants!This podcast is powered by Pinecast. Yo! This is a very different but super exciting episode of Genuine Wrestleboys! This is our Treefort Music Fest 2019 Artist Interview Special! Hear us Wrestleboys talk with members of Chairea/Anaconda Vise, Nick from Wicked Bears, and Mega Ran while they were all here in Boise performing at Treefort! SUPPORT GENUINE WRESTLEBOYSListen and subscribe on Apple Podcasts, Spotify, Stitcher, or wherever you get your podcasts and make sure to leave us a rating & review!Buy our merch on our What a Maneuver store!Get a FREE 30-day trial of Audible while supporting Genuine Wrestleboys!FOLLOW GENUINE WRESTLEBOYSVisit Our WebsiteFollow Genuine Wrestleboys on Twitter: @WrestleboysCastFollow Genuine Wrestleboys on Instagram: @GenuineWrestleboysFollow Derek on Twitter: @ostercoaster!Follow Derek on Instagram: @bleuostercvlt!Follow Esai on Twitter: @duckshirt!Follow Esai on Instagram: @duckshirt!Follow Matt on Twitter: @wrestledrums!Follow Matt on Instagram: @mattondrums!Follow Matt's wrestling drums account on Instagram: @wrestledrums!Follow Zack on Twitter: @KayfabeDad!Follow Zack on Instagram: @mychemicaldadpants!This podcast is powered by Pinecast. COME SEE US DO OUR FIRST LIVE SHOW EVER NEXT WEEK! 3/22 7PM AT STORYFORT DURING TREEFORT MUSIC FEST!FOR MORE INFORMATION, VISIT: bit.ly/fortboys!The Wrestleboys are back for another week to discuss what Dave Bautista, aka Batista, craves (what he NEEDS), John Cena's masturbation advice, and also the week in professional wrestling! Including: what went down on WWE's Fastlane PPV, Monday Night Raw, SmackDown Live, 205 Live, NXT, NXT UK, and the New Japan Cup! The 'boys also take a look ahead at how the card for WrestleMania 35 next month is starting to take shape and try to figure out which of the many seemingly-likely happy WrestleMania moments WWE is going to withhold from us since things can never be TOO good, right? SUPPORT GENUINE WRESTLEBOYSListen and subscribe on Apple Podcasts, Spotify, Stitcher, or wherever you get your podcasts and make sure to leave us a rating & review!Buy our merch on our What a Maneuver store!Get a FREE 30-day trial of Audible while supporting Genuine Wrestleboys!FOLLOW GENUINE WRESTLEBOYSVisit Our WebsiteFollow Genuine Wrestleboys on Twitter: @WrestleboysCastFollow Genuine Wrestleboys on Instagram: @GenuineWrestleboysFollow Derek on Twitter: @ostercoaster!Follow Derek on Instagram: @bleuostercvlt!Follow Esai on Twitter: @duckshirt!Follow Esai on Instagram: @duckshirt!Follow Matt on Twitter: @wrestledrums!Follow Matt on Instagram: @mattondrums!Follow Matt's wrestling drums account on Instagram: @wrestledrums!Follow Zack on Twitter: @KayfabeDad!Follow Zack on Instagram: @mychemicaldadpants!This podcast is powered by Pinecast. SUPPORT GENUINE WRESTLEBOYSListen and subscribe on Apple Podcasts, Spotify, Stitcher, or wherever you get your podcasts and make sure to leave us a rating & review!Buy our merch on our What a Maneuver store!Get a FREE 30-day trial of Audible while supporting Genuine Wrestleboys!FOLLOW GENUINE WRESTLEBOYSVisit Our WebsiteFollow Genuine Wrestleboys on Twitter: @WrestleboysCastFollow Genuine Wrestleboys on Instagram: @GenuineWrestleboysFollow Derek on Twitter: @ostercoaster!Follow Derek on Instagram: @bleuostercvlt!Follow Esai on Twitter: @duckshirt!Follow Esai on Instagram: @duckshirt!Follow Matt on Twitter: @wrestledrums!Follow Matt on Instagram: @mattondrums!Follow Matt's wrestling drums account on Instagram: @wrestledrums!Follow Zack on Twitter: @KayfabeDad!Follow Zack on Instagram: @mychemicaldadpants!This podcast is powered by Pinecast. COME SEE US DO OUR FIRST LIVE SHOW EVER THIS MONTH! 3/22 7PM AT STORYFORT DURING TREEFORT MUSIC FEST!FOR MORE INFORMATION, VISIT: bit.ly/fortboys!Remember everyone, TERFs are actually FARTs now, and Ronda Rousey fits that bill pretty much spot-on (just look at her Twitter)!The Wrestleboys are missing Esai this week, but Derek, Matt, and Zack are back at it again to break down a HUGE week in the world of professional wrestling! The 'boys break down Ronda Rousey's vs. Becky Lynch on Twitter, how Ronda's social media game is almost as horrendous as her personal beliefs and opinions, and the shockingly surreal addition of Tommy Wiseau into the mix of their feud. There were a bunch of wrestlers making surprise returns, most importantly Roman Reigns returning to Monday Night Raw to announce that his leukemia is in remission and he will be back on the show, but also including Dave Bautista (aka Batista) coming back to Raw to attack ol' Grandpa Pervert Ric Flair before his 70th birthday celebration and call out Triple H for WrestleMania, Kevin Owens returning on SmackDown Live to replace Kofi Kingston in the WWE Title match against Daniel Bryan at the upcoming FastLane PPV and using a Stone Cold Stunner as his new finishing move, and Matt Hardy returning on SmackDown as well after rumored retirement to reunite The Hardy Boyz with his brother Jeff! Finally, the 'boys talk about 205 Live, NXT UK, and NXT. Including: The tournament to determine Buddy Murphy's Cruiserweight Title challenger at WrestleMania. Confusion surrounding the NXT call-ups of Johnny Gargano, Tommaso Ciampa, Ricochet, and Aleister Black. Real-life roommates Mia Yim and Shayna Baszler's very good match on NXT.And finally, a couple great BIG BOY fights with Kassius Ohno vs. WALTER on NXT UK and the buckwild Keith Lee vs. Dominik Dijakovic match on NXT.SUPPORT GENUINE WRESTLEBOYSListen and subscribe on Apple Podcasts, Spotify, Stitcher, or wherever you get your podcasts and make sure to leave us a rating & review!Buy our merch on our What a Maneuver store!Get a FREE 30-day trial of Audible while supporting Genuine Wrestleboys!FOLLOW GENUINE WRESTLEBOYSVisit Our WebsiteFollow Genuine Wrestleboys on Twitter: @WrestleboysCastFollow Genuine Wrestleboys on Instagram: @GenuineWrestleboysFollow Derek on Twitter: @ostercoaster!Follow Derek on Instagram: @bleuostercvlt!Follow Esai on Twitter: @duckshirt!Follow Esai on Instagram: @duckshirt!Follow Matt on Twitter: @wrestledrums!Follow Matt on Instagram: @mattondrums!Follow Matt's wrestling drums account on Instagram: @wrestledrums!Follow Zack on Twitter: @KayfabeDad!Follow Zack on Instagram: @mychemicaldadpants!This podcast is powered by Pinecast. The Wrestleboys are joined by Matt Saincome and Mark Roebuck from The Hard Times to talk everything about their wrestling fandom, satire, music, and the last week in wrestling! Make sure to check out The Hard Times and The Hard Times Podcast Network, as well as The Hard Times' Patreon! SUPPORT GENUINE WRESTLEBOYSListen and subscribe on Apple Podcasts, Spotify, Stitcher, or wherever you get your podcasts and make sure to leave us a rating & review!Buy our merch on our What a Maneuver store!Get a FREE 30-day trial of Audible while supporting Genuine Wrestleboys!FOLLOW GENUINE WRESTLEBOYSVisit Our WebsiteFollow Genuine Wrestleboys on Twitter: @WrestleboysCastFollow Genuine Wrestleboys on Instagram: @GenuineWrestleboysFollow Derek on Twitter: @ostercoaster!Follow Derek on Instagram: @bleuostercvlt!Follow Esai on Twitter: @duckshirt!Follow Esai on Instagram: @duckshirt!Follow Matt on Twitter: @wrestledrums!Follow Matt on Instagram: @mattondrums!Follow Matt's wrestling drums account on Instagram: @wrestledrums!Follow Zack on Twitter: @KayfabeDad!Follow Zack on Instagram: @mychemicaldadpants!This podcast is powered by Pinecast. Come see our first live show ever at Storyfort during Treefort Music Fest 2019!Friday March 22nd, 2019, from 7-8pm!CLICK HERE FOR MORE DETAILS!SUPPORT GENUINE WRESTLEBOYSListen and subscribe on Apple Podcasts, Spotify, Stitcher, or wherever you get your podcasts and make sure to leave us a rating & review!Buy our merch on our What a Maneuver store!Get a FREE 30-day trial of Audible while supporting Genuine Wrestleboys!FOLLOW GENUINE WRESTLEBOYSVisit Our WebsiteFollow Genuine Wrestleboys on Twitter: @WrestleboysCastFollow Genuine Wrestleboys on Instagram: @GenuineWrestleboysFollow Derek on Twitter: @ostercoaster!Follow Derek on Instagram: @bleuostercvlt!Follow Esai on Twitter: @duckshirt!Follow Esai on Instagram: @duckshirt!Follow Matt on Twitter: @wrestledrums!Follow Matt on Instagram: @mattondrums!Follow Matt's wrestling drums account on Instagram: @wrestledrums!Follow Zack on Twitter: @KayfabeDad!Follow Zack on Instagram: @mychemicaldadpants!This podcast is powered by Pinecast. The Wrestleboys are down a man this week, but are still back at it again to discuss the instant recognizability of Wayne Coyne from The Flaming Lips, Meat Loaf's role as a bus driver in the 1997 film Spice World and if he is secretly WALTER's dad, Jeff Rosenstock and why it might be ok for artists to sell out a little bit to make a living, and of course, BUGENHAGEN, BABY! (And oh yeah, and they also run down everything from the week in Pro Wrestling, I guess. )First, they give their immediate reactions right after watching All Elite Wrestling's Double Or Nothing Ticket Announcement Pool Party. Including: exciting new wrestlers announced for the Double Or Nothing show and All Elite Wrestling, how the matches for Double Or Nothing are taking shape, ticket information, the nightmarish audio and technical difficulties throughout the stream, and Kenny Omega finally making it official that he will be joining AEW! Next, they break down an extremely Not-Bad-But-Not-Good week for WWE's main roster with Monday Night Raw and SmackDown Live and the bright spot of Becky Lynch vs. Stephanie McMahon and Triple H on both shows. Finally, they run through this week's episodes of 205 Live, NXT UK, and NXT. Including: a new number one contender for the Cruiserweight Title, WALTER continues to be terrifying, Drew Gulak's surprise NXT appearance and 2 matches against Matt Riddle BRO and everyone's new favorite wrestler Eric Bugenhagen, and the supremely overpowered tag team of EST+Sky Pirates vs. the absurdly min/max'd team of Horse Girls.SUPPORT GENUINE WRESTLEBOYSListen and subscribe on Apple Podcasts, Spotify, Stitcher, or wherever you get your podcasts and make sure to leave us a rating & review!Buy our merch on our What a Maneuver store!Get a FREE 30-day trial of Audible while supporting Genuine Wrestleboys!FOLLOW GENUINE WRESTLEBOYSVisit Our WebsiteFollow Genuine Wrestleboys on Twitter: @WrestleboysCastFollow Genuine Wrestleboys on Instagram: @GenuineWrestleboysFollow Derek on Twitter: @ostercoaster!Follow Derek on Instagram: @bleuostercvlt!Follow Esai on Twitter: @duckshirt!Follow Esai on Instagram: @duckshirt!Follow Matt on Twitter: @wrestledrums!Follow Matt on Instagram: @mattondrums!Follow Matt's wrestling drums account on Instagram: @wrestledrums!Follow Zack on Twitter: @KayfabeDad!Follow Zack on Instagram: @mychemicaldadpants!This podcast is powered by Pinecast.